Since our wild world championships Nikki and I have had a chance to spend a little time at home. Though as ever it inevitably is not a rest. Windsport my families sailing centre in Cornwall is naturally becoming pretty busy as we near the peak of summer, on top of that and for reasons that will become clear shortly we have been flat out preparing the support trailer for the Dart 18 European championships. Now would probably be a good time to point out that for a change Nikki and decided to do some sailing. We are in flew to Pisa in Italy, then travelled to a town called Marina di Grosetto to compete in the Dart 18 Europeans. 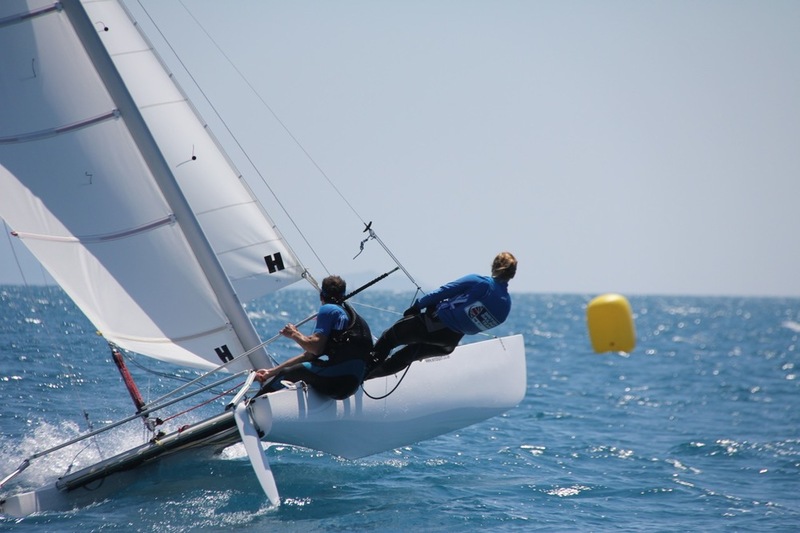 At a time in the year where Nacra events are a little more scarce it's important for us to keep our racing heads. The Dart is a great boat for it, very simple and very strict one design so it really is the sailor and strategy that make the difference. It had been a while since we last raced a dart, so there was a bit of a rustiness at the start but we got there by the end. Alongside Nikki and I racing, Windsport were providing the spares and support at the regatta so over the week leading up to the regatta, we were non stop making wires, ropes and all the other bits that go to support and keep the fleet on the water. A big fleet, in such a stunning spot on the Tuscan coast, it was the perfect way to stay racing fit and enjoy something a bit different. 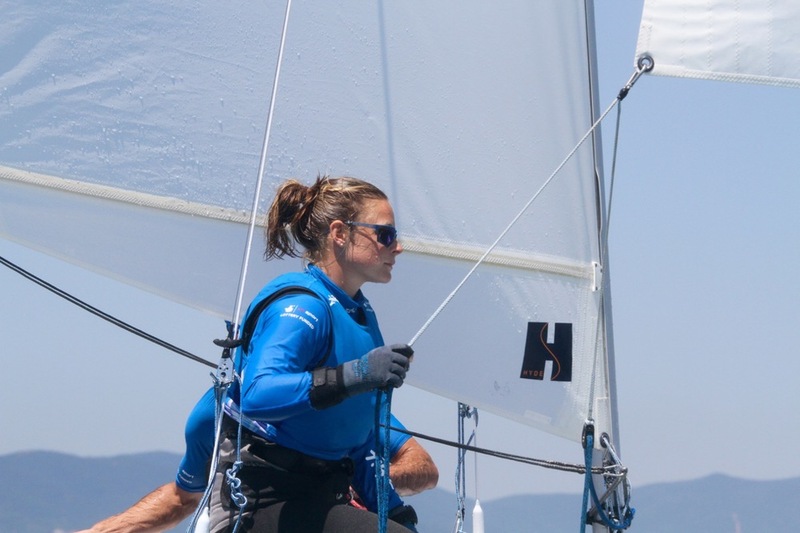 It really was an amazing week, so nice to compete without the Olympic pressure, and all the Dart sailors really are the most welcoming and fun group of people. I cant thank everyone one in Italy enough, Nikki and I had an awesome time, and we are already looking forward to the next Dart event. Now back in a far cooler UK, we start the build up for the Nacra europeans in September. Nikki is joining me in cornwall at the end of the week so she can remind herself to hoist a spinnaker as we round the wind ward mark. It is also falmouth week this week, Last year Paddy and I managed to win a very prestigious shrimper trophy, so hopefully I can find a bit of time and get out for a bit more of that.